The 2019 Masters concluded on Sunday with Tiger Woods winning his fifth Green Jacket and his first win at Augusta National since 2005. Woods is still chasing Jack Nicklaus, who won an all-time six Masters titles between 1963 and 1986. The Masters is the most famous golf tournament on the circuit because it is deep history and tradition. The Masters is always hosted at the same location, while the British Open and US Open switch locations every year. Augusta National is a serene and majestic at this time of year. CBS provides stellar televised coverage of the event, with limited commercial interruptions, which makes the final rounds on the photogenic course must-see television. For the first time in the history of the Masters, the winner will bank almost $2 million. The total prize pool is $11 million. In 1934, golfer Bobby Jones and banker Clifford Roberts conjured up a tournament to help draw publicity to their new golf club in Augusta, Georgia. They called it the “Masters” and Horton Smith won the inaugural event. The rest is history. Only Jack Nicklaus (1965-1966), Nick Faldo (1989-1990), and Tiger Woods (2001-2002) won back-to-back Masters. Woods won three Green Jackets in five years between 2001-05. Nicklaus won three inside of four years between 1963-66. Arnold Palmer won four Masters titles between 1958-1964. This is the 83rd running of the Masters. During World War II, the tournament was suspended for three years between 1943 and 1945. The tournament resumed in 1946 with Herman Keiser winning the Masters. The Green Jacket, presented to the champion, was introduced in 1949. In the history of the Masters, only 17 champions won the Masters more than once. Only eight men won the Masters thrice. Five men were tied with three wins at Augusta National. In 2010, Phil Mickelson notched his third Green Jacket. Tiger Woods and Arnold Palmer were tied with four each before Tiger’s come-from-behind victory this year. 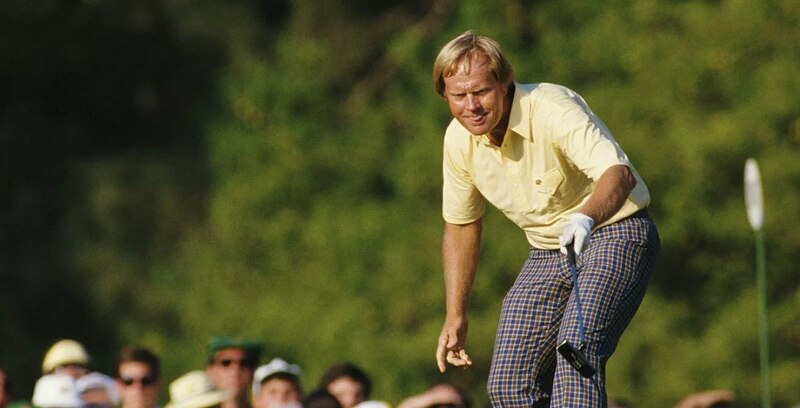 Jack Nicklaus has the all-time record with six wins at the Masters. Nicklaus won his first Green Jacket in 1963. He won four by 1972. In 1986, the Golden Bear won his sixth and final Green Jacket at 46-years old. Only seven golfers won the Masters over the age of 40. Jack Nicklaus is the oldest. Tiger Woods, 43, won his first title at age 21. The list also includes Ben Crenshaw (43), Gary Player (42), Sam Snead (41), Mark O’Meara (41), and Ben Hogan (40). Spring is in full swing and the sporting season is heating up. Virginia won the college basketball championship last weekend and the NBA playoffs began this weekend. With hoops dominating the airwaves, you might have missed our Masters coverage. Here is a refresher course. As usual, the Masters offered up plenty of prop betting opportunities. “Will Sergio Garcia make the cut?” was a popular wager after he went cold after his win in 2017. After winning the World Golf Championships-Mexico Championship in late February, Dustin Johnson came into the 2019 Masters as the favorite to win this year. The smaller field this year in Augusta gave many golfers hope at finally breaking through with their first Green Jacket. Rory McIlroy was seeking his first Masters victory. Longshots dominated the Masters field after the opening round on Thursday. Brooks Koepka and Bryson DeChambeau both shot a 66 to kick off the Masters. After shooting the first two rounds under par, Tiger Woods emerged as the Masters favorite heading into Saturday. “The Secret History of Tiger Woods” and his obsession with the Navy SEALs is an insightful story that appears in a new book by sports journalist Wright Thompson. Remember five months earlier when Tiger Woods and Phil Mickelson played a heads-up golf match on PPV? Who would have thought back then that Woods would go on to win the Masters? A weekend of golf is not complete without a couple of Caddyshack quotes and references. Even the Masters champion, Tiger Woods, is a fan of the Rodney Dangerfield movie.